If you are an e-commerce site, or really any business for that matter, you know that traffic is not enough – you need conversions. Using images on your website can help you to connect with your target audience to increase engagement, trust and conversions. According to Hubspot, only 22% of business are satisfied with their conversion rates. So how can you best use images to boost conversion rates? It’s all about the experience. The old saying a picture is worth a thousand words is more true than ever when it comes to showcasing your product/service and user gains. With the abundance of choice online, businesses cannot rely solely on the product they are selling. 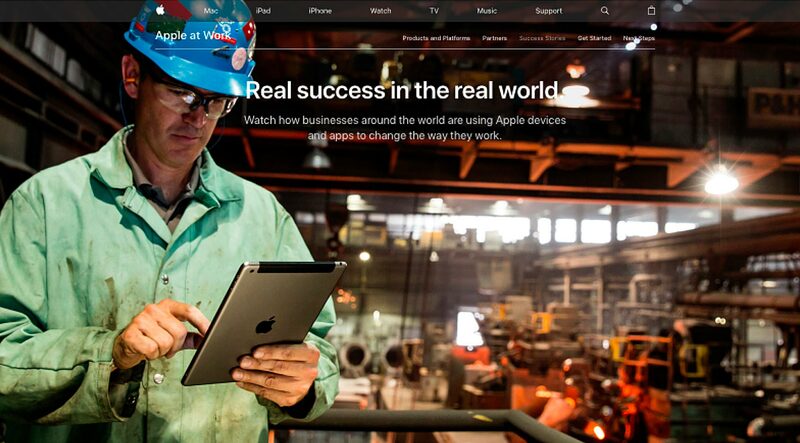 Think of what makes Apple so successful. Their continuous emphasis on creating an “engaging experience” is a key part of their brand. Visiting their website you can see how this idea is encapsulated with their abundance of images – not just of products, but also of people using their products. According to Larock “Products are 25% of what you sell. The rest is an intangible feeling”. But simply writing about how valuable your product is, is not enough. Instead you need to show users, and what better way to capsulate this feeling than with images? Despite what we might like to think, we don’t usually buy products through rational thought and research. Instead, we tend to buy for emotional reasons. This is why images are so useful, as they can help to ignite certain feelings. According to Psychology Today “the richer the emotional content of a brand’s mental representation, the more likely the consumer will be a loyal user”. By integrating images that you want your users to feel when they visit your site, you can foster certain feelings that coincide with your brand’s image. Business is all about gaining trust. However, it can be difficult to make a connection with your users if you never actually meet them or speak to them directly. According to Shopify, “people don’t trust pages or websites. They trust people”. One of the best ways to cultivate trust is through personal and realistic images. Creating content that authenticates your business can ultimately help to increase conversion rates, as users want to buy from businesses they trust. One way to do this is by creating a “Meet the Team Page”, so that people know who they are dealing with. Studies have found that adding a headshot can increase conversion rates by up to 20%. So including pictures of you and your team can help to create a more human connection, that plain text is incapable of achieving. 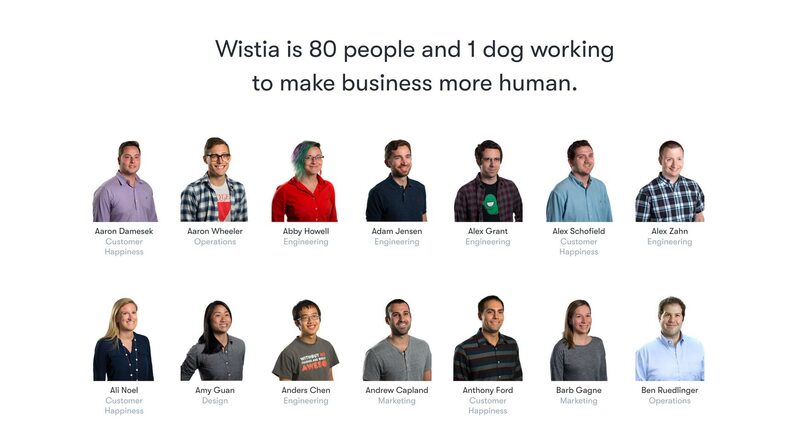 A good example is Wistia, who have a unique and innovative way of showcasing their personality on their team page. Images are an easy way to quickly give consumers information they will remember. Research has found that the human brain can process images up to 60,000 times faster than words. 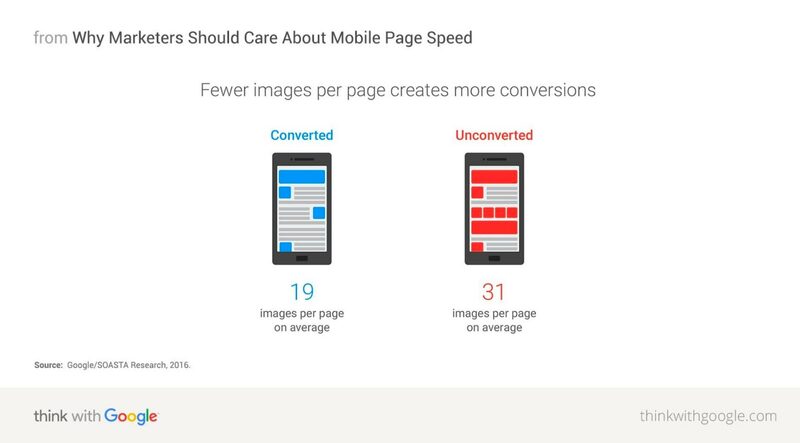 With our attention span being shorter online, images are an ideal way to engage users. It is much easier to show someone what something looks like or how something works than attempting to tell them. Furthermore, research has found that people remember only 10% of text-based information three days later. However, if a relevant image is paired with that same information, people retain 65% of the information three days later. (LifeLearn, 2015). If you are selling a product online it makes sense to include images from different angles, close-ups and even consider pairing images with videos of the product in use. Load time is extremely important for SEO and website usability. Reduce your image file size (without sacrificing quality) to help ensure that your page loads quickly. Unlike text, Google can’t read images, so you need to let it know what the image is about. If you’ve uploaded images from a camera change the generic file name from DSC.15235.jpg, to what the image actually shows e.g. golden-retriever-playing.jpg. As well as re-naming your image, you should also add alt attributes including keywords which accurately describes the image. So it’s simple, just put some images on my website right? Well actually it’s not that simple. It is important you choose good high-quality images that are realistic and accurate. You want images that are professional, but not fake looking. That means those cheesy stock images of the forced smiles and business handshakes are not ideal. Instead, look for stock images that are more realistic. When it comes to images, more is not always better. Instead, it is about finding the right balance. Many large file images can decrease the load time of your site, which can frustrate users and lower your conversion rates. According to Google, “53% of visits are abandoned if a mobile site takes longer than 3 seconds to load, and for every one second delay in site load time, conversions fall by 12%”. Using images correctly can be highly beneficial in generating more conversions on your website. Images can help to improve user experience, gain user trust and provide users with more information. Optimising your images is also an important step in getting your images to rank on Google which can ultimately help to increase traffic to your website and lead to conversions.